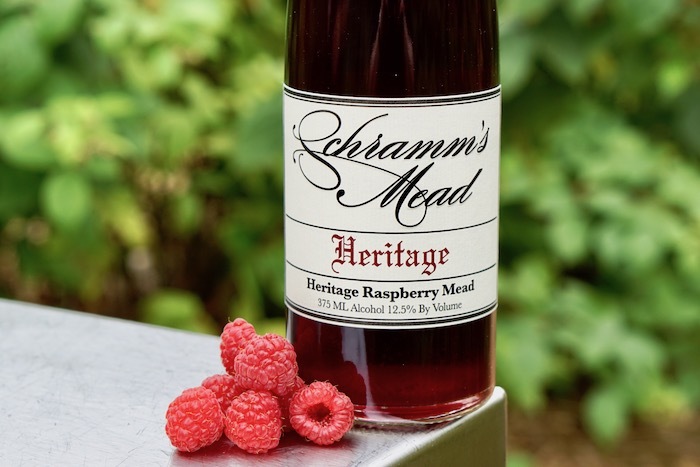 Schramm’s Heritage raspberry is a cousin to our standard Raspberry made exclusively with Heritage raspberries, the same variety used in Schramm’s The Heart of Darkness. Grown and loved by the Schramm family for generations, we were able to find a high-quality commercial source for these berries that took us back to picking them off the bushes in Grandpa Schramm’s backyard. We think this jammy, bright and extremely flavorful mead would make him proud.